Brand extensions are nothing new. We have seen it already in the consumer products category where companies leverage on their strong brands to create brand extensions for their other products as well. For instance a bathing soap would have brand extensions in the shampoo and the hair oil or the cosmetics category. From a business perspective, successful brands have the potential to give the companies endless flow of revenue streams as the users trust it easily. Examples galore. However what is talked about here is not about consumer product brands but an entirely new territory in the Indian context. Yes off late one has seen that the broadcasters and popular shows have jumped into this brand extension activity. It has been always said that content is the king when it comes to a show’s popularity. It is also to get advertising support for successful shows because such a program attracts loyal viewership base. They always invariably create a buzz amongst the audiences. Therefore leveraging on the success of their shows, a couple of channels have gone ahead and created brand extensions. 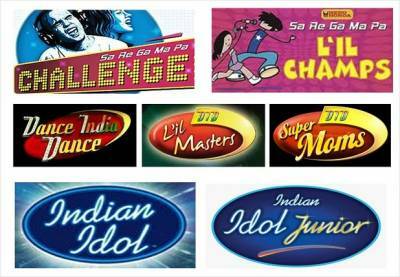 The two recent examples are Dance India Dance (DID) Super Moms and Indian Idol Junior that are being aired on the channels. Well there is no doubt about the fact every channels is in the race of producing differentiated content and in that race wants to cater all set of audiences. And what better than non-fiction shows because they have always had a different kind of connect with the viewers. It has been like an icing on cake for weekend entertainment. To understand the strategy behind coming up with extended properties like these, Adgully caught up with some industry veterans. “We had huge round of auditions. The important part is that we have to make sure that the content we put up is wholesome and attractive with enough viewing material. This was a natural extension which was planned and was waiting to happen,” Seth adds. As to plans about launching further extensions, Seth said that though they cannot comment on the next step they are sure that this extended property will buzz the audience. He says, “Children have always been a convincing part of our television industry in terms of wooing the audience and also from the family viewing point of view.” According to Seth as per the necessity the format can be extended but only with strong concept and idea. Keertan Adyanthaya, Managing Director, NGC Network India and Fox International Channels says, “Yes the extended property does work in the favor of the channel since the mother properties have made a connect with the audience so it is easy to give them a new and twisted taste of extended property. If handled well the extended property can do pretty well.